An old abbey is 400 km away from Paris. Today it’s a world famous place of pilgrimage. 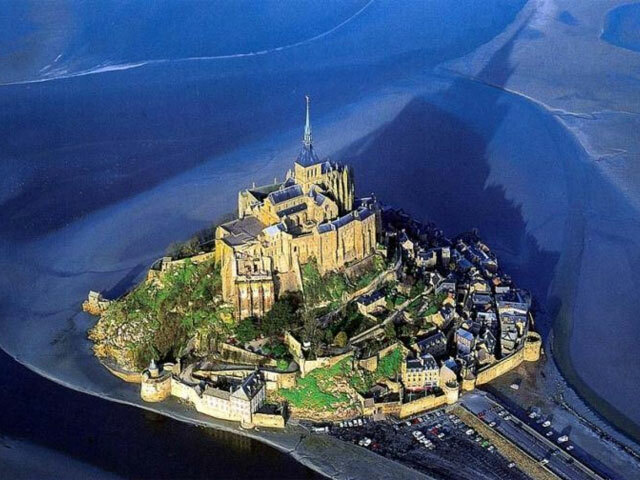 It is an island-mountain situated at a 78 m cliff, towering above one of the largest bays in Europe. 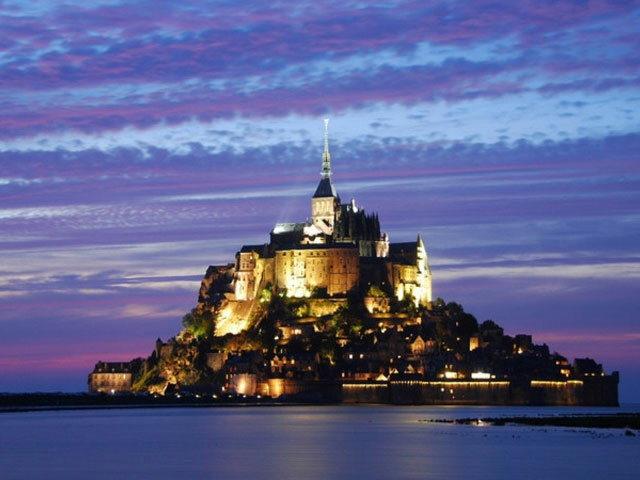 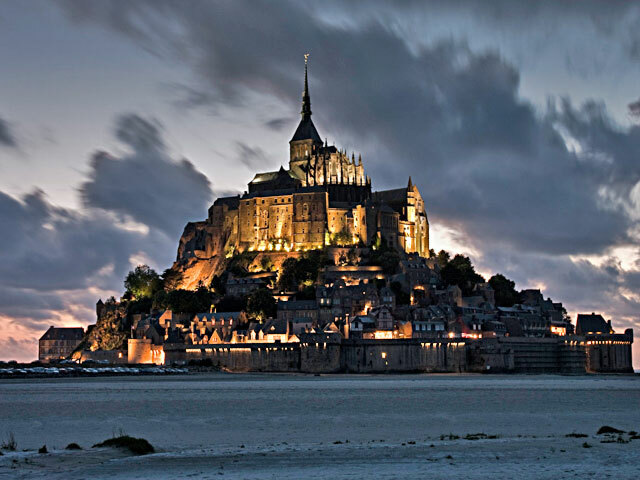 Impregnable walls and a 9 m rising tide ensure the security of the fortress of Mont Saint Michel. 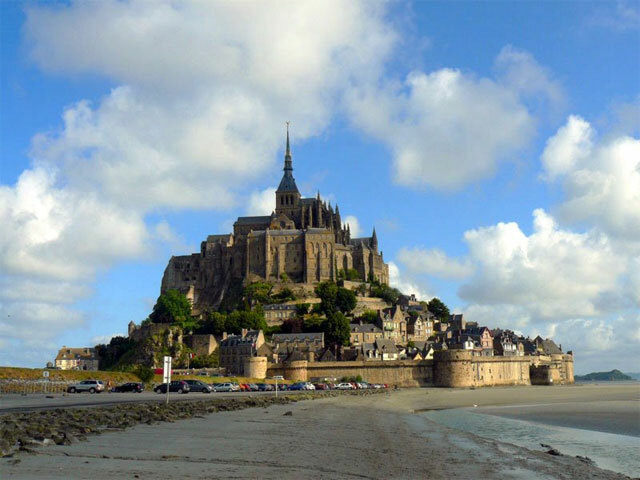 During the low tide you can get to the abbey on foot, but as soon as the galloping rising tide begins, the water arrives very quickly and you can get to the fortress only by boat.